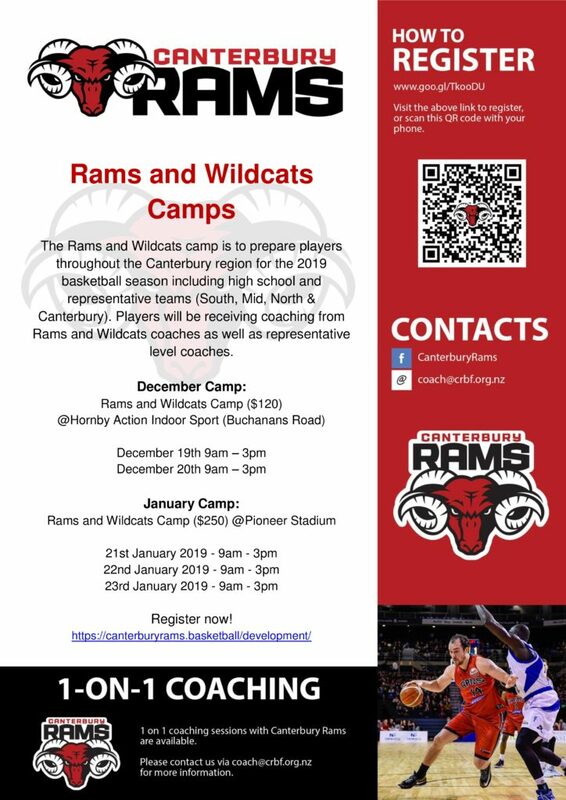 The Rams and Wildcats camp is to prepare players throughout the Canterbury region for the 2019 basketball season including high school and representative teams (South, Mid, North & Canterbury). Players will be receiving coaching from Rams and Wildcats coaches as well as representative level coaches. Players will need to bring a reversible singlet and drink bottle/food. (reversible singlet is available for purchase upon checkout – please note due to Xmas holidays only Rams singlets size 10,12,14 and Large will be available for this camp. All Wildcat singlets and other Rams sizes ordered will be made and ready in mid January).